We all want our users to do something. Unfortunately we cannot force them. 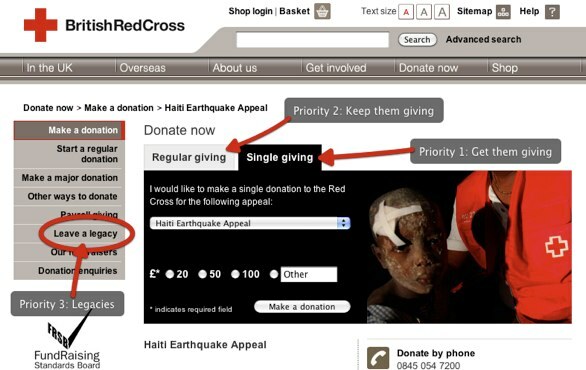 However, as good charity web design shows us, we can nudge them in the right direction. At Headscape we do a lot of charity web design and I love it. Not only is it worthwhile, but I have learnt loads doing it. For example, did you know the vast majority of us want to give to charity, but somehow never get around to it? That is why charities have had to become masters at giving us a gentle nudge in the right direction. Sir, can I ask you a quick question? Would you like to save a dying child in Africa? Whether it is in the high street, via a mailshot or over the phone, charities have become experts at encouraging us to give. However, I think they do some of their most subtle work online. The great thing is, you can use these same techniques on your website. Of course charities use these techniques to encourage us skin flints to give generously. However, these same techniques could be used for nefarious purposes. Be careful, this will come back to bite you. Once somebody overcomes the mental hurdle of giving away their cash they almost always feel good about it. When polled the vast majority of us want to give to charity. We just never manage to actually do it. However, if you use these techniques to trick a person into signing up for a spam newsletter then eventually they are going to be very unhappy. 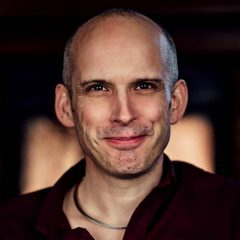 Always use these techniques to nudge a user in the ‘right direction’ that ultimately helps them do what they actually want to do. Anyway, enough disclaimers. Lets look at some of the clever things charities do to encourage us to give. We humans are lazy creatures. We don’t like to think too much and generally prefer to be told what to do (yes I know I am old and cynical). One example of this is choice. We hate choosing. In fact research shows that given too great a choice we just give up. Imagine then how hard it is for us to decide how much to give to charity. After all the choice is only limited by the amount in our bank account. As you can see they limit the number of options. However more importantly, they set a default. This default effectively makes the decision for the user. Default settings cannot be under estimated. The vast majority of users go with the default even when it is not their preference were they to think about it. Take for example organ donation. 90% of the UK population say they wish to donate their organs and yet only 25% are on the register. If the government simply made organ donation opt out rather than opt in they could increase the number of donors by 65%. What about your own site? Are users required to make choices? What default options could you provide to help them make the right decision. Remember we are not talking about the default ticking of that ‘spam me’ checkbox. We are talking about default settings that make it easier for users to do what they already want to do. 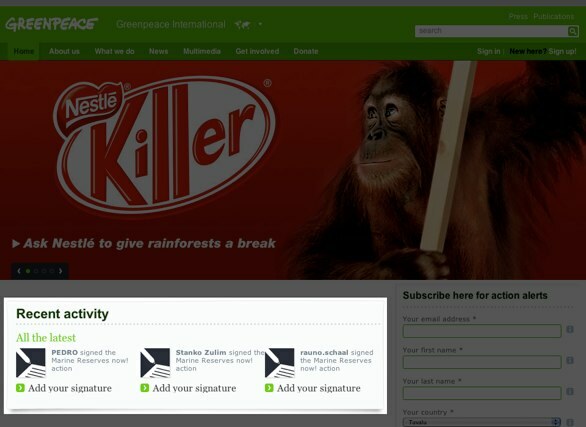 For example, what about those remember me checkboxes? Is it ticked by default? The vast majority of users would prefer you to remember them. Perhaps it is time to change the default. Another thing a lot of charities do well is make the abstract more tangible. Giving money is a very abstract way to engage. What happens to the money you give? What is my money worth to the charity? How does it help? In order to make the act of giving financially more tangible many charities go to great lengths to make those gifts feel more real. Save the Children do an excellent job at making the abstract tangible by explaining what different levels of donation will buy. You are much more likely to make a donation of £10 instead of £3 when you see that £3 buys is a mosquito net while £10 treats 50 babies for life threatening diarrhoea. By describing donations in tangible terms it engages us in a way numbers cannot. Many of us fallback on using dull facts and figures when there are more exciting ways to engage our users. Take for example, a recent campaign to fix outlook. Instead of simply quoting how many people had signed up in support, they instead showed their twitter avatars’ as a background image. Are there ways you can make your dry facts and figures more engaging? Data visualisation does not need to be boring. As I mentioned earlier one of the big problems faced by charities is that people say they want to give to charity but never actually do. The primary reason for this is that people feel they cannot afford to give “right now” and put it off until later. This is a common problem with homo-sapiens. Our rational minds know something is good for us (for example having an injection against flu) but the reptilian part of our brains shy away from the pain involved. One way charities circumnavigate this problem is by delaying the pain. This allows our rational brian to make a clear decision without getting caught up in the short term loss. They achieve this through “give tomorrow campaigns”. The idea is that users can create direct debits that do not begin giving immediately but instead activate at some point in the future. They can also be setup to gradually increase the amount to be given over time in order to further ease the pain. This is also a tactic commonly used by retailers selling expensive items. For example when buying a car there are a variety of payment plans which spread the pain or delay it entirely. When thinking about your own website it is worth asking whether you can adopt a similar approach. It might not be in terms of payments but could be applied to time. Do you need a user to fill in their entire profile before they can start using the service? Could that painful experience be put off until later? On the web time is the ultimate commodity and anything you can do to delay a user having to spend their valuable time will help them commit to your website. When looking at charity websites, there is one thing often absent – there is very little mention of legacies (leaving money in your will). Sure it might be mentioned in passing but that is not the main focus of the site. The emphasis is placed on one off or direct debit donations. In some ways this is surprising. After all for most charities legacies are the primary source of income. Charities realise that they need to encourage as many people as possible to leave money in their will. Actually, it is not surprising that charity websites do not focus heavily on legacies. Charities know that most legacies are left by people with whom they have an established relationship. In other words the person has either volunteered or given to the charity for some considerable time. That is why Charities focus on encouraging people to start giving or volunteering. They realise this is the first small step towards a bigger objective. There are a couple of lessons to be learnt from this as website owners. The first is the importance of nurturing a long term relationship with our users. The second is the need to guide users gradually towards the end objective. For example many homepages go immediately for the hard sell when a better approach would be to grab the users interest and encourage them to take a small inconsequential step. First they use celebrities to campaign for them. They use our desire to be like our celebrity heroes, to encourage us to give. If we see somebody we admire supporting a particular charity we are more likely to do so ourselves. Second, charities continually emphasis how ‘people like us’ are giving to them. Have you ever heard a charity telesales person tell you how many people in your neighbourhood have given? Have you ever been told what the ‘average’ donation is? All of these things play off of our desire to fit in and conform with those around us. 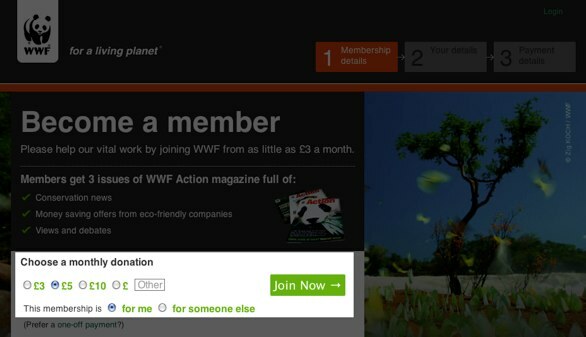 The Greenpeace homepage is continually loading updates about people who have made a donation or signed a petition. This is a great way of using social pressure. 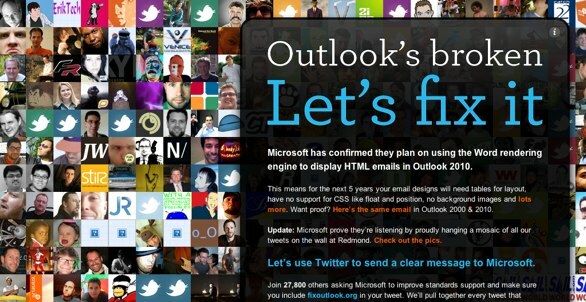 The Outlook campaign I mentioned earlier does a similar thing with their Twitter background. What about your own website? Could you highlight every time somebody signs up for your newsletter or tweets about your product? Could you emphasis just how many people are subscribed to your RSS feed or attended your last event. What about celebrity endorsements? Admittedly you might not be able to attract A list stars, but do you highlight when an industry figure says something nice about your product? Of course all of the techniques I have mentioned here are used much further afield than charities. However, that is not the point of this post. The point is to encourage you to think about more than making your website usable and to start looking for ways to motivate users into action and nudge them in the direction you need them to go. Admittedly you would not want to trick users into doing something they do not want to do, but you can spur them into taking action now rather than putting it off or forgetting entirely.